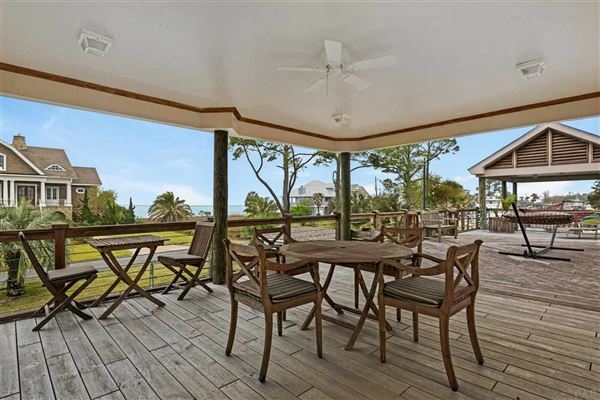 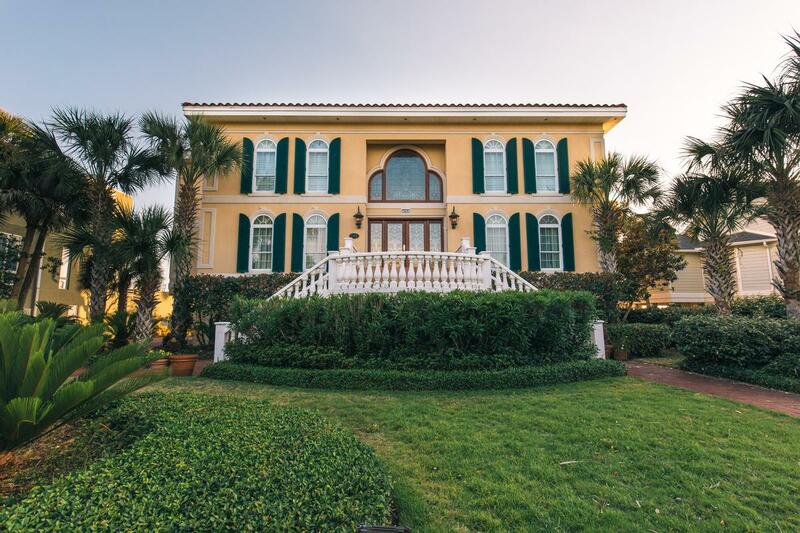 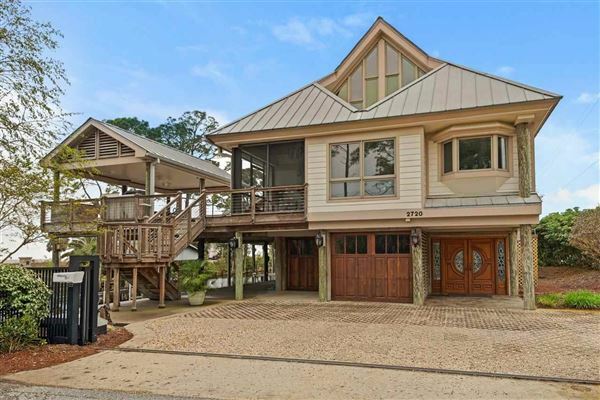 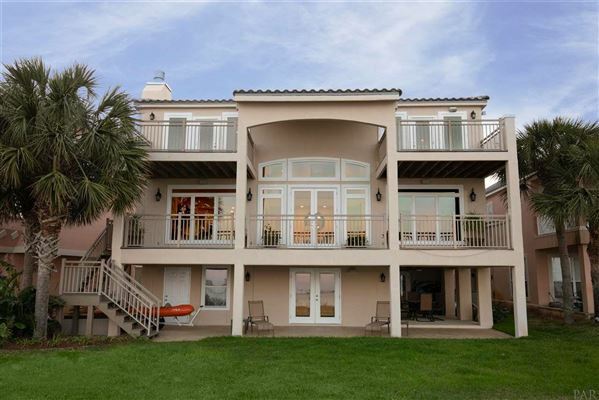 One-of-a-kind Waterfront Gulf Breeze residence. 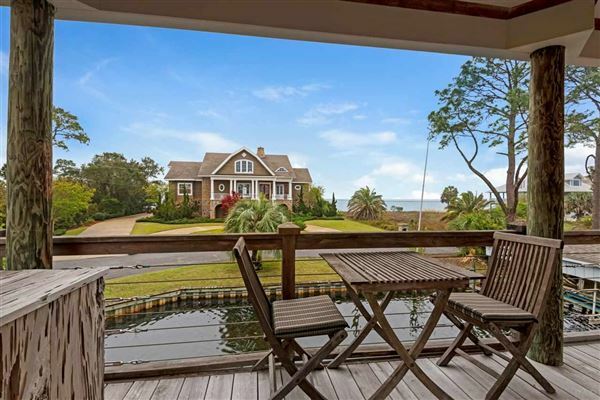 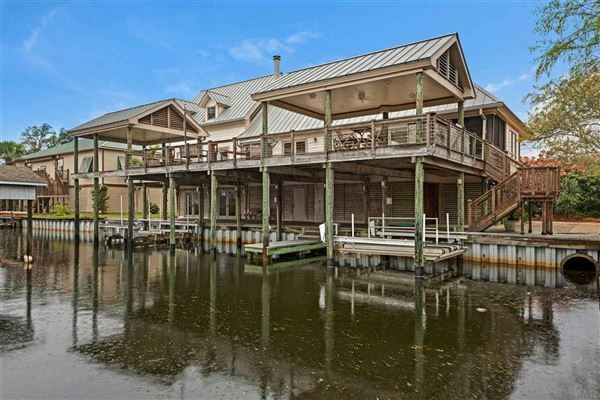 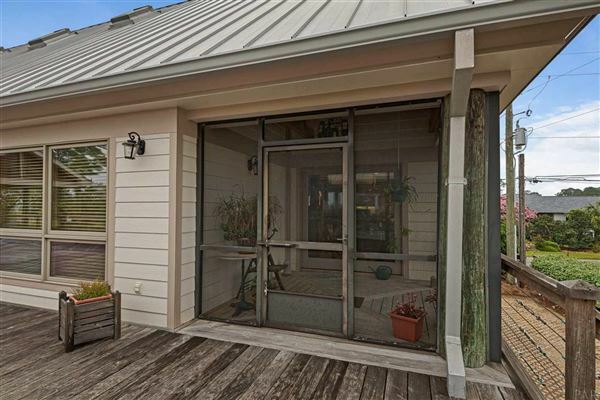 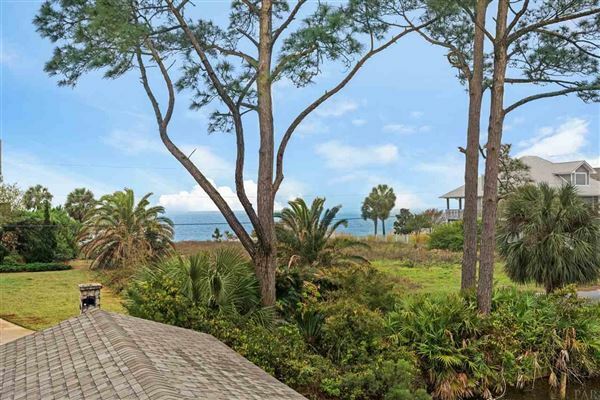 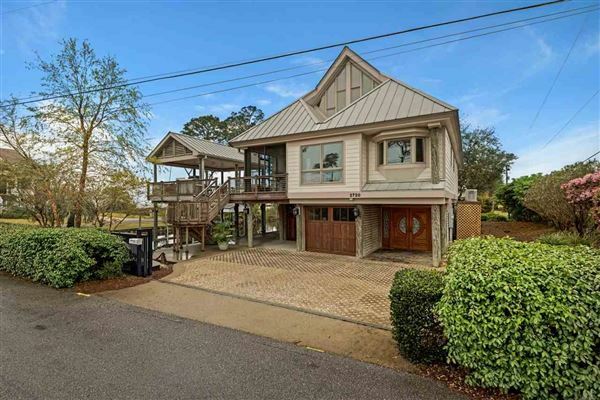 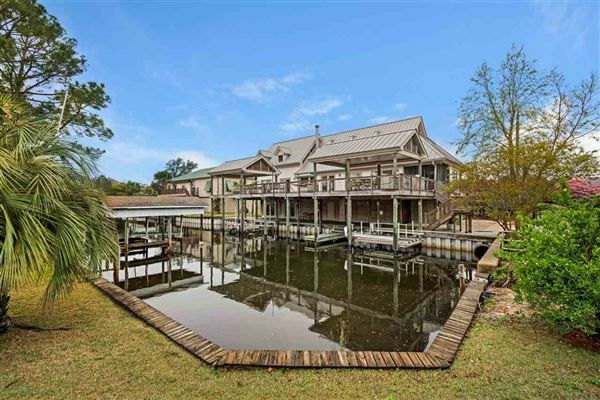 This is a true boater’s paradise with 110’ of water frontage on a protected deep-water canal leading directly to the Santa Rosa Sound. 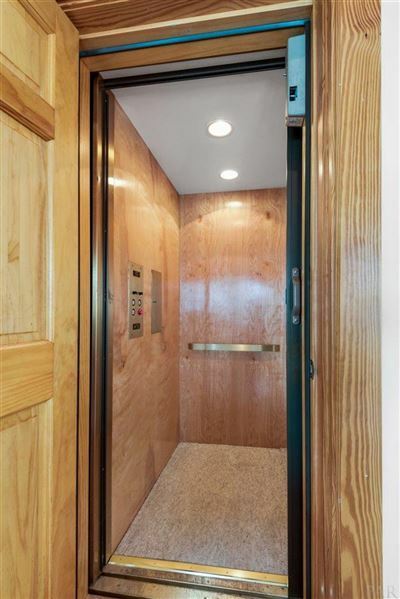 The waterfront features multiple lifts and a covered slip that will accommodate a 42-foot yacht. 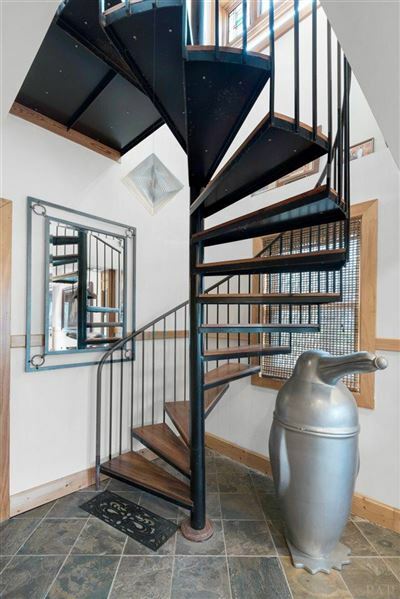 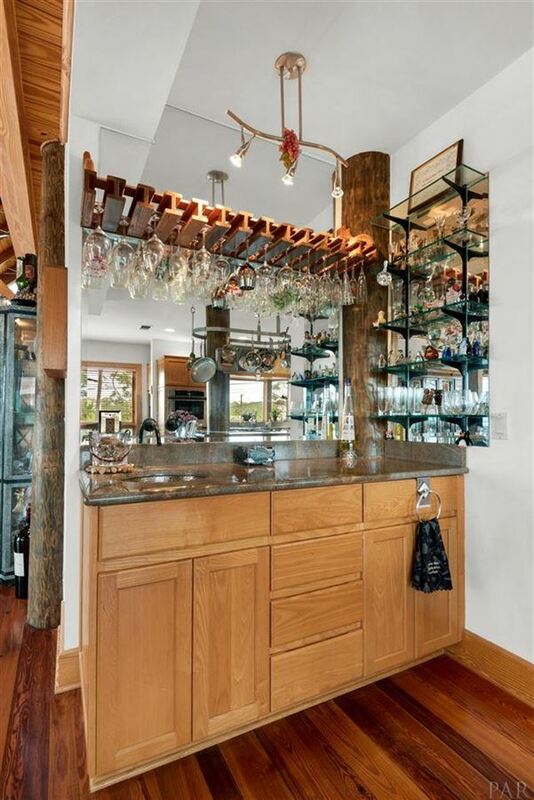 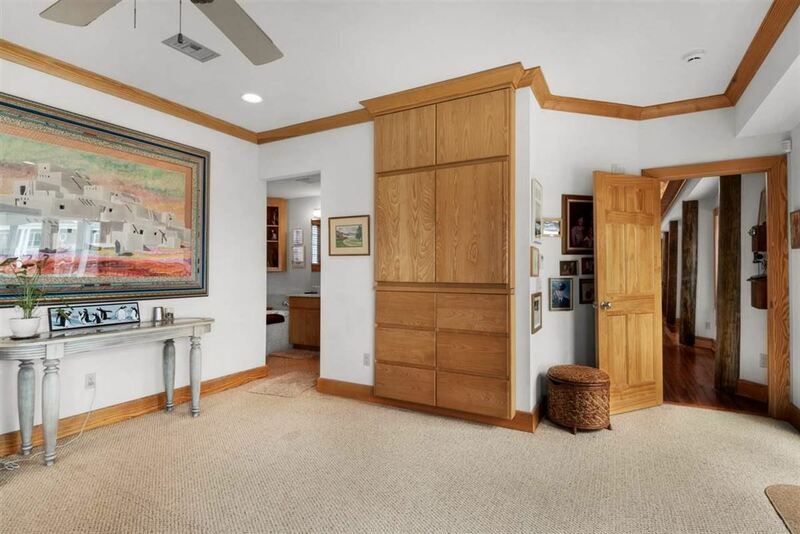 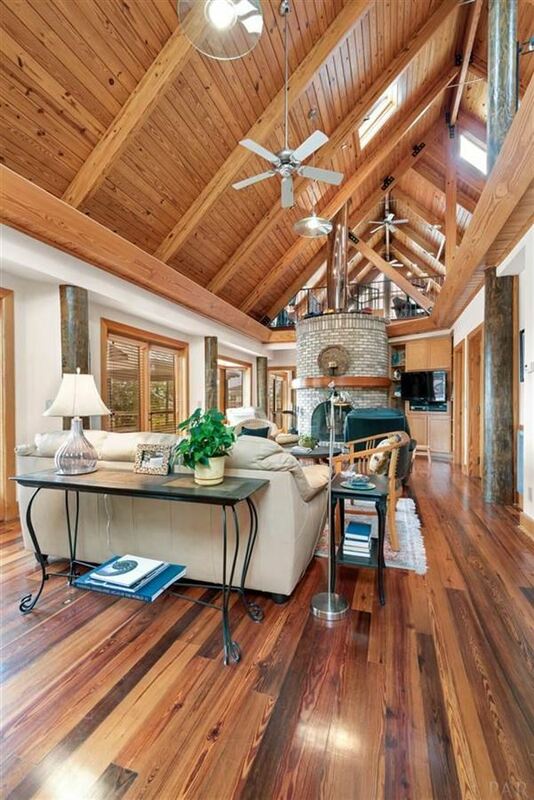 Inside this custom home you will notice the attention to detail and abundance of premium wood finishes. 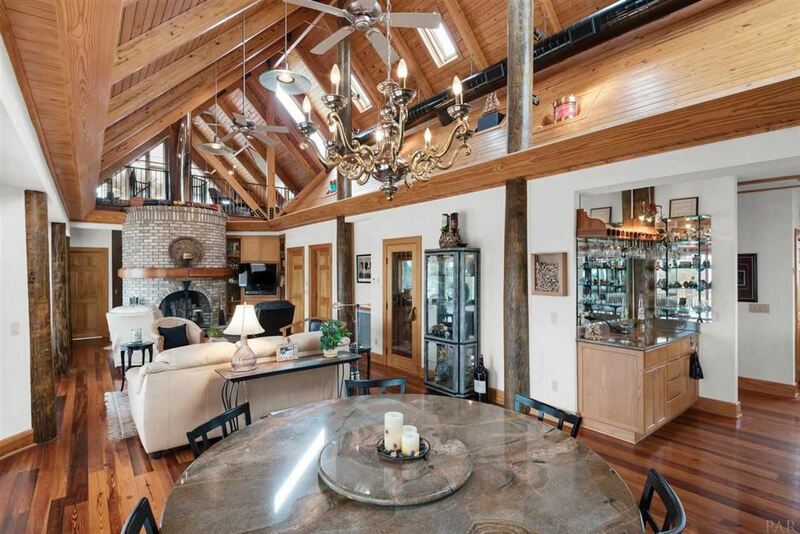 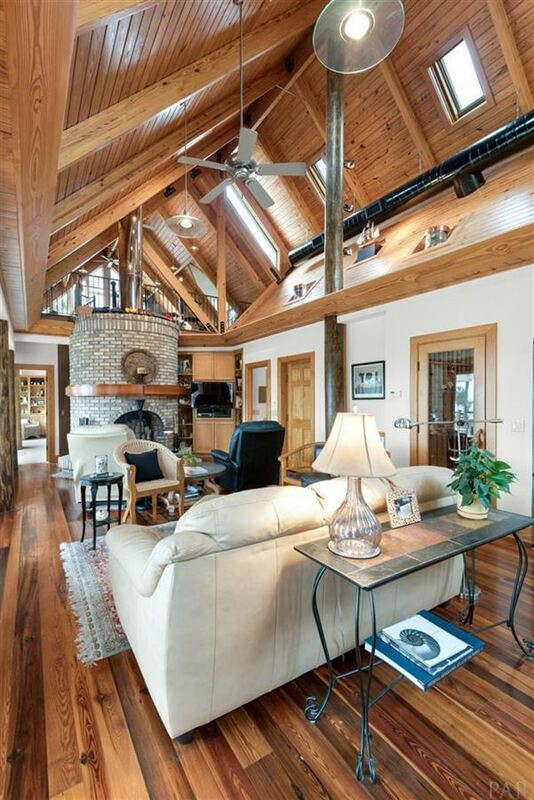 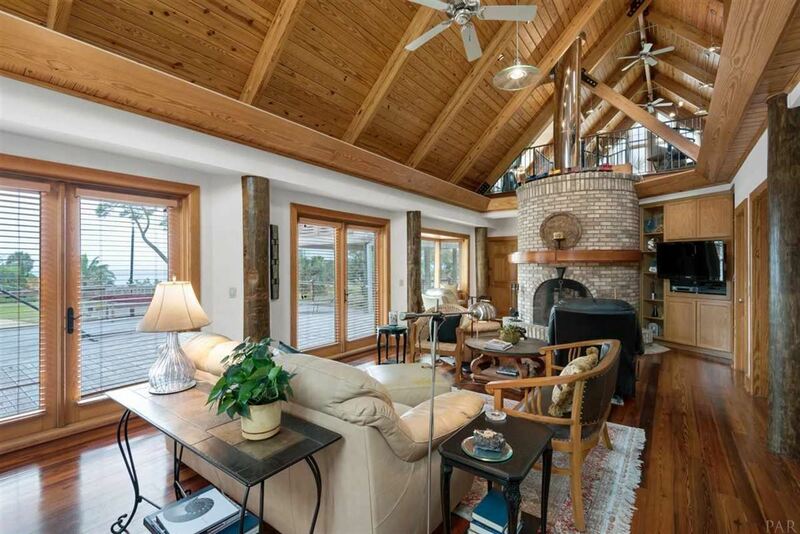 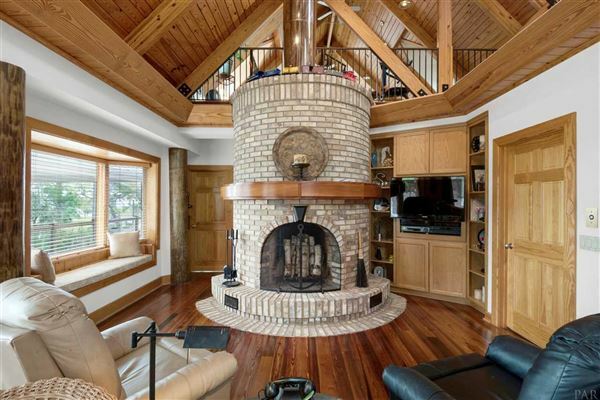 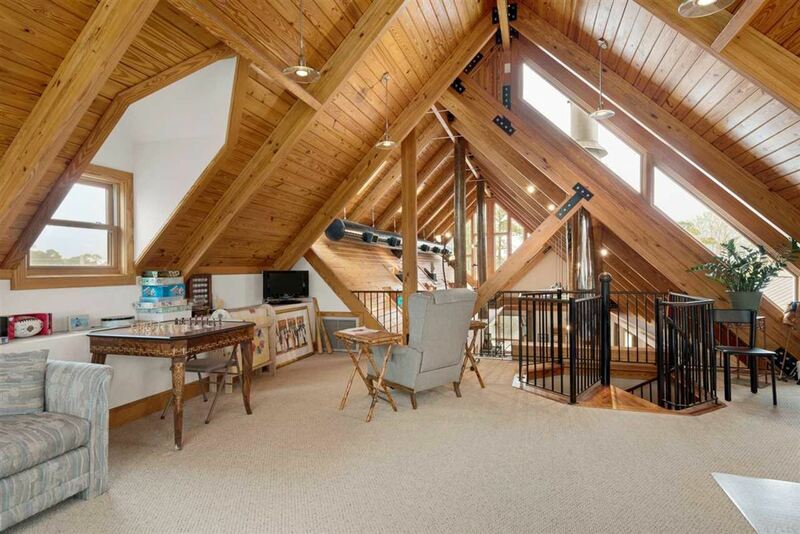 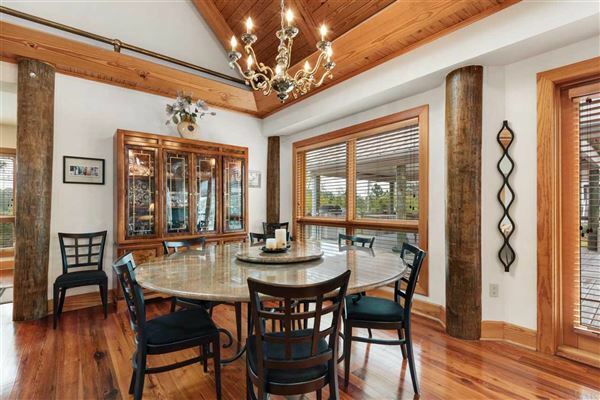 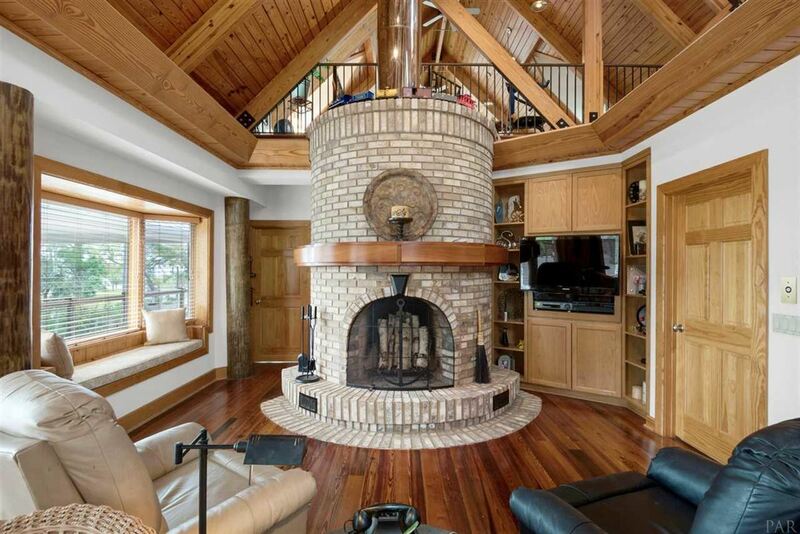 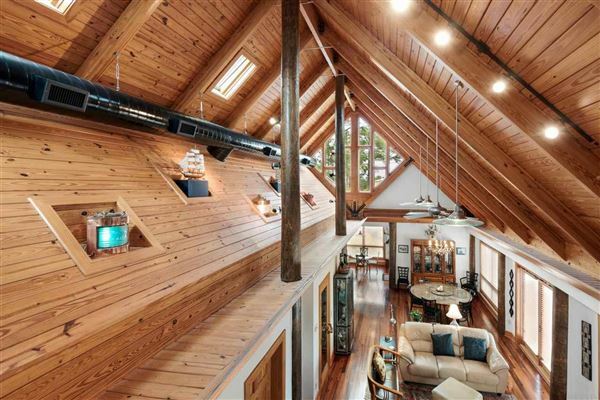 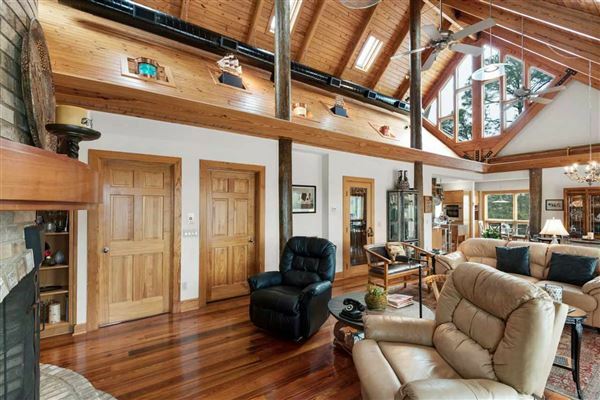 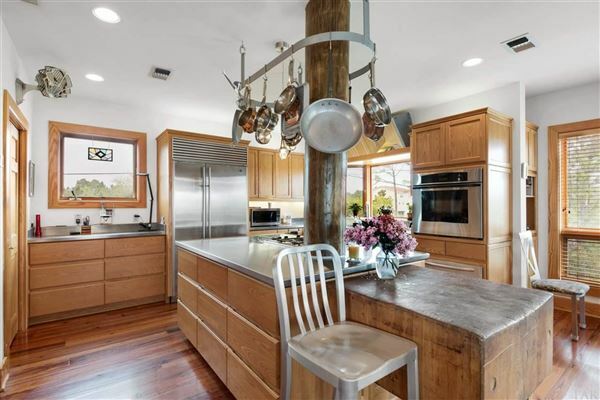 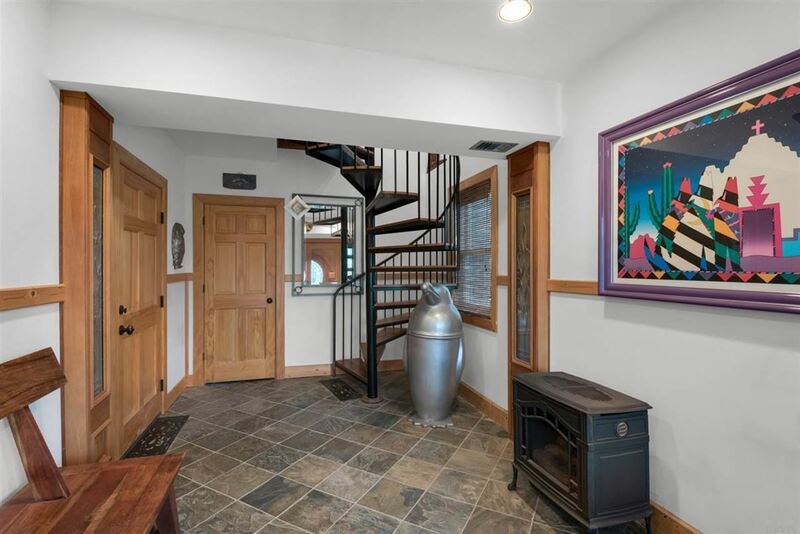 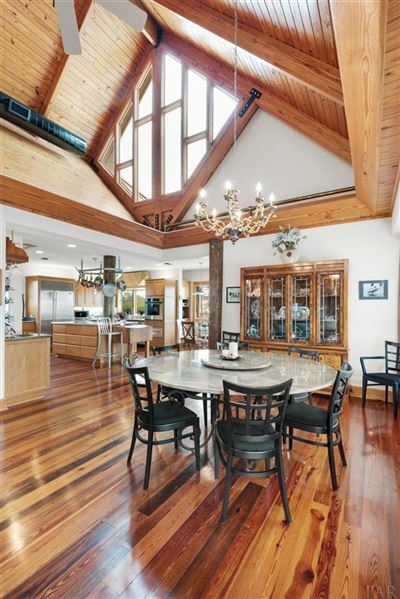 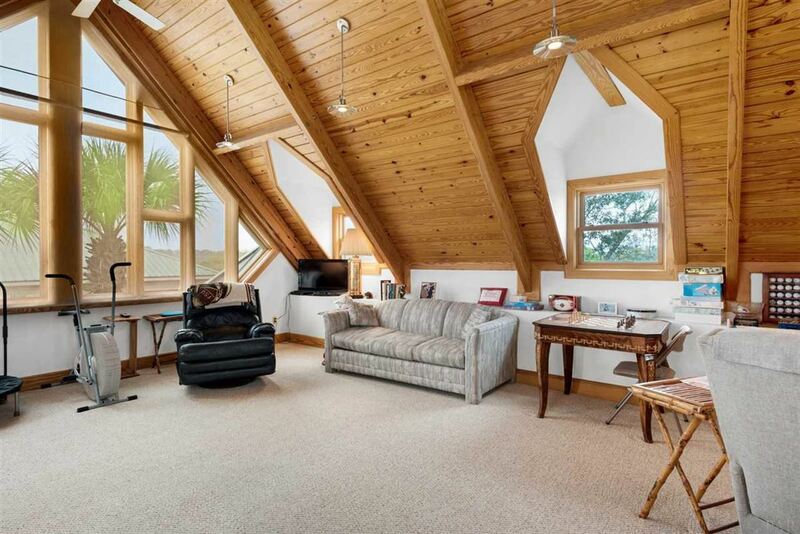 The open living area with soaring ceilings is anchored by an impressive cylindrical fireplace. 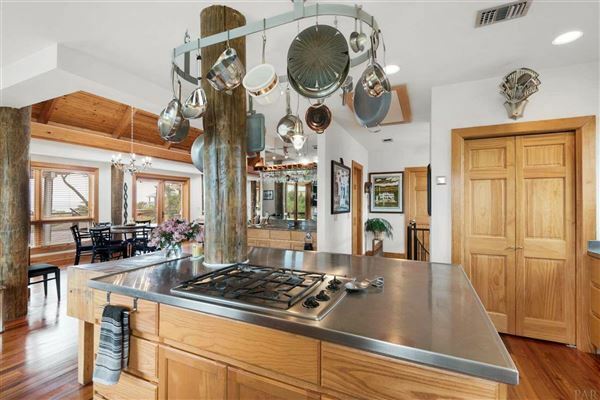 The gourmet kitchen features stainless steel counter tops, ash wood cabinets, Thermador gas cooktop and wall oven, Sub-Zero refrigerator, and Fisher Paykel dishwasher. 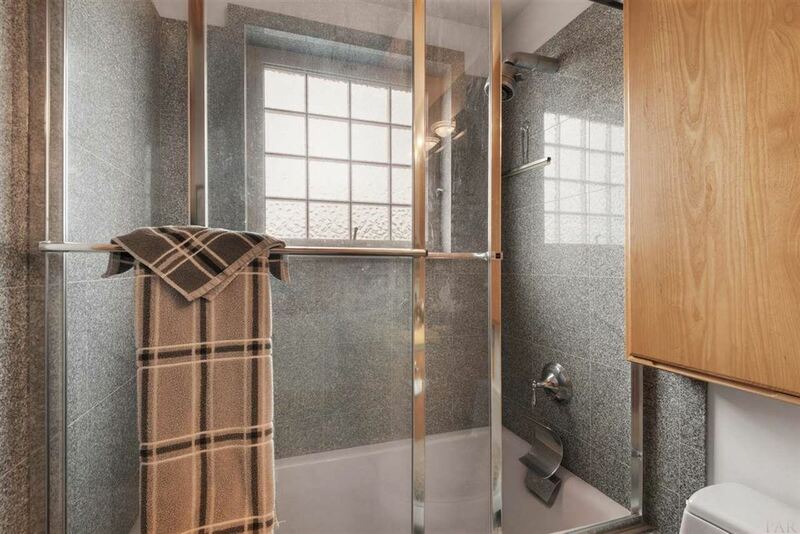 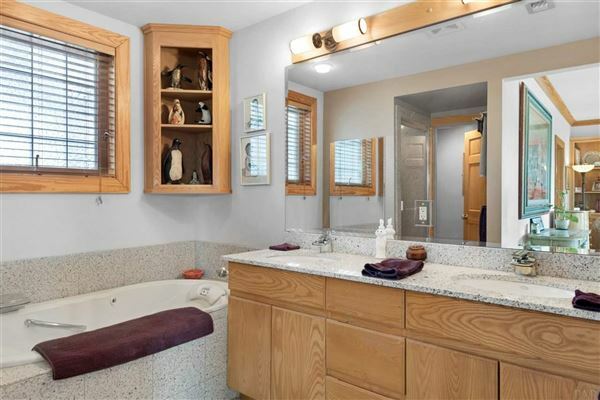 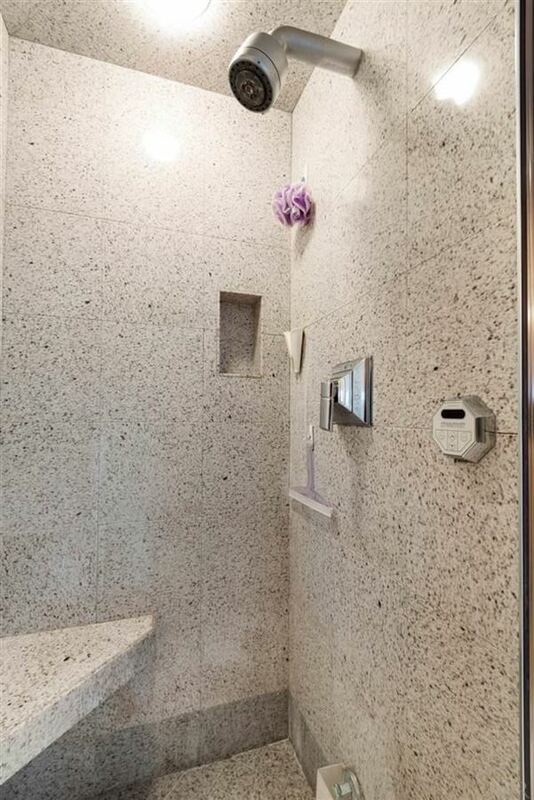 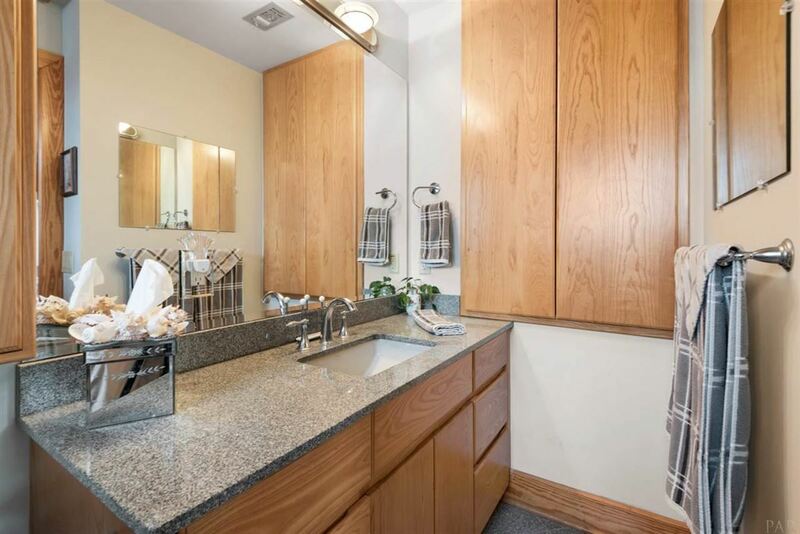 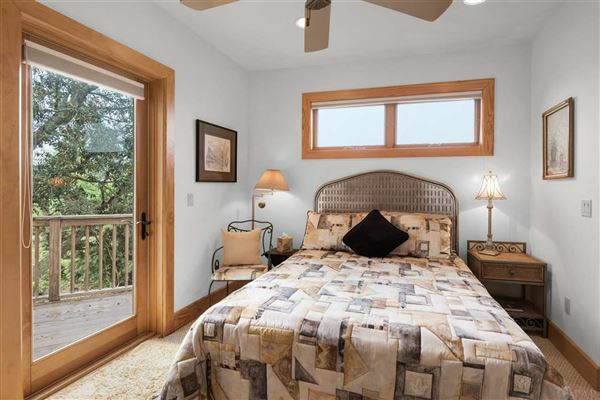 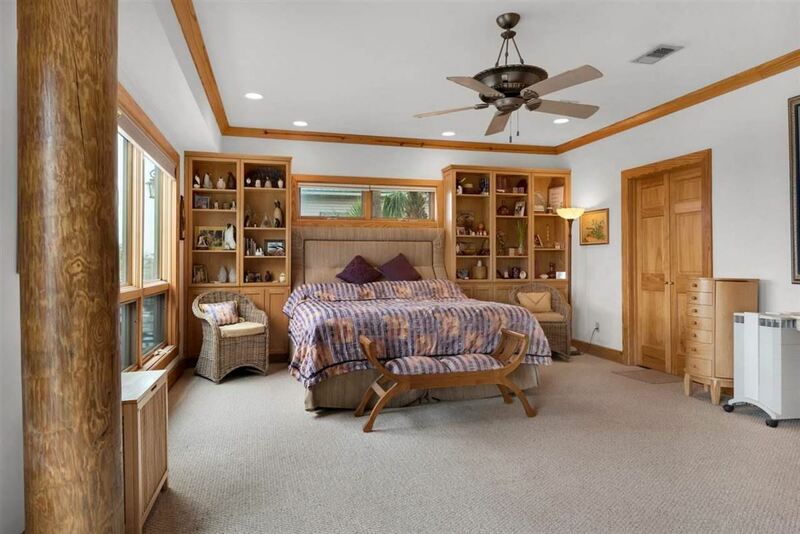 The master suite is spacious and flows into the master bathroom, which is complete with a jetted tub, granite countertops with dual sinks, and separate steam shower. 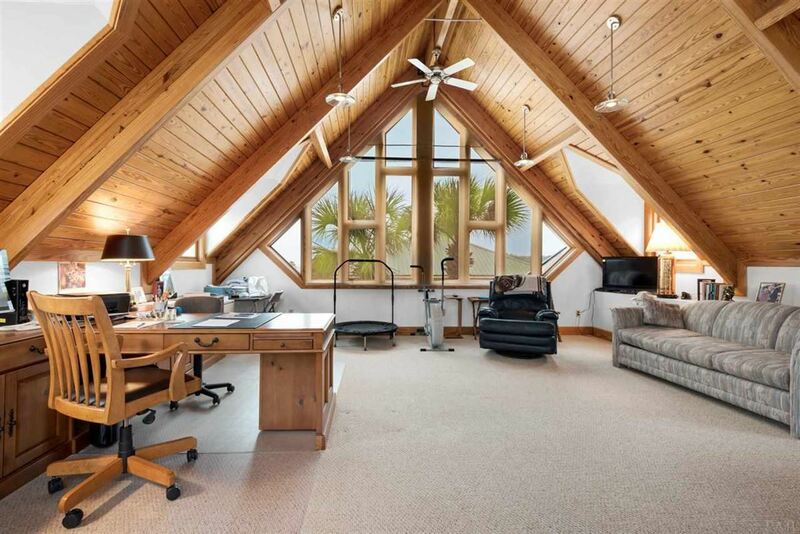 On the third floor you will find an open area overlooking the water and living room, this flexible space makes a perfect office, fitness room, or additional living space. 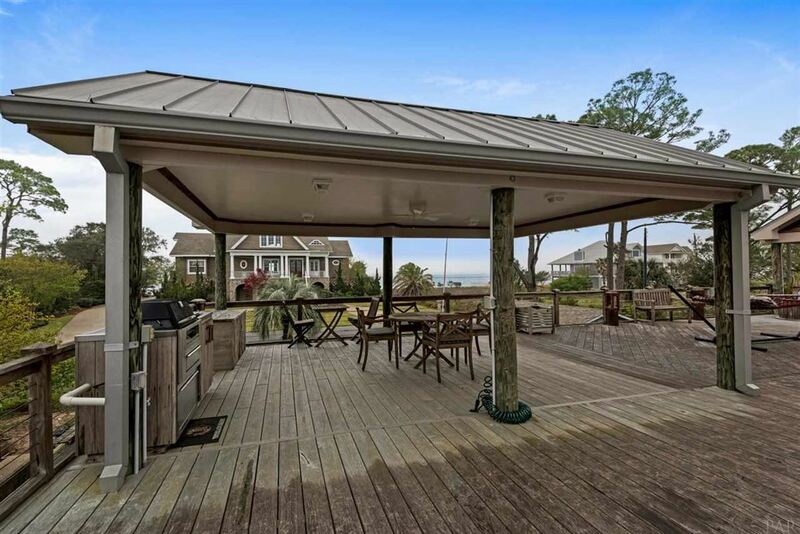 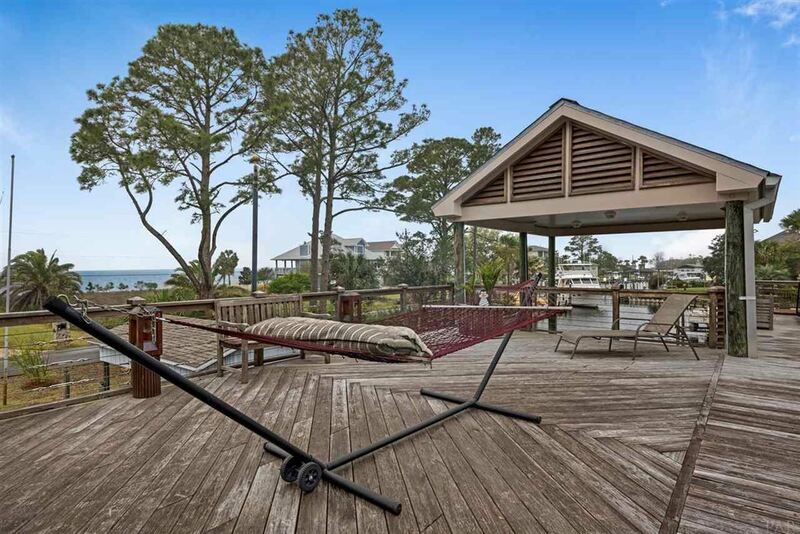 The outside living area is immense, with more than 1,700 square feet of deck space. 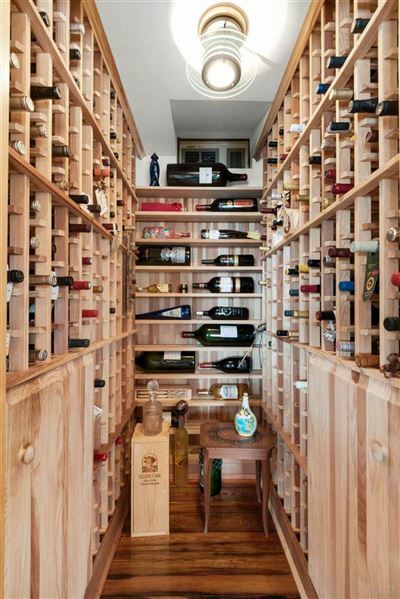 Other features include a humidity controlled wine storage room with space for 240 bottles, elevator, whole house generator, and ground level space that is perfect for entertaining or workshop use. 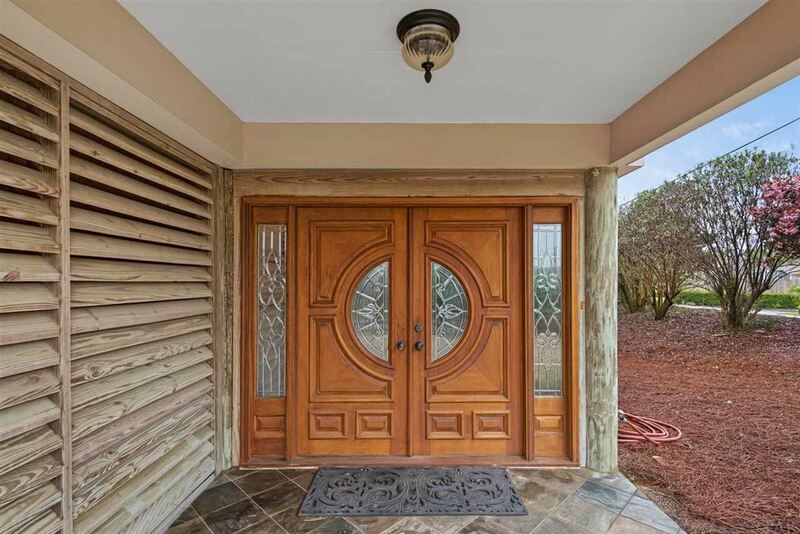 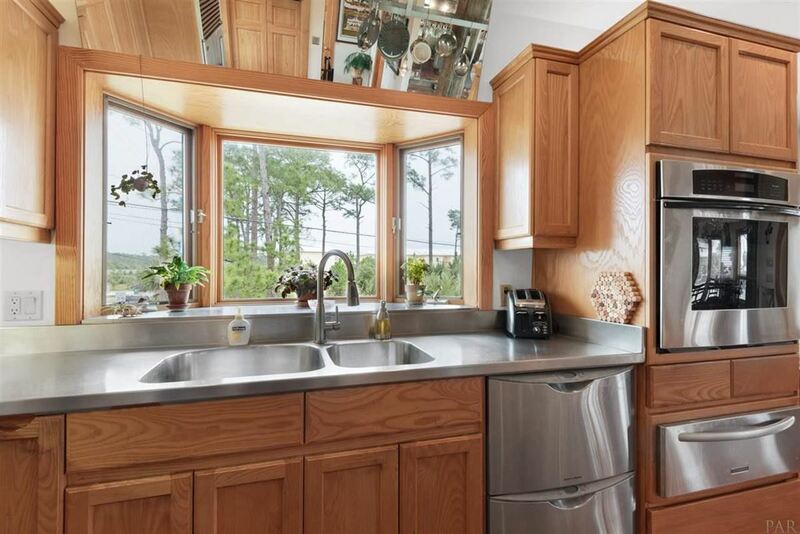 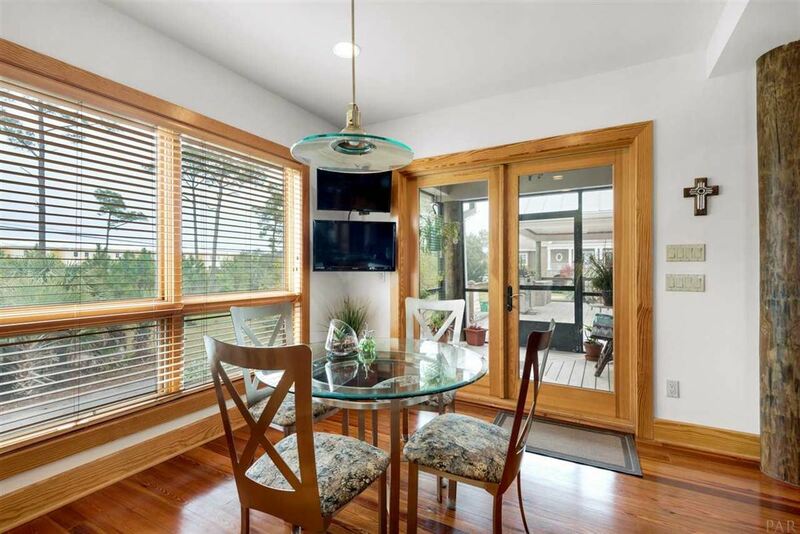 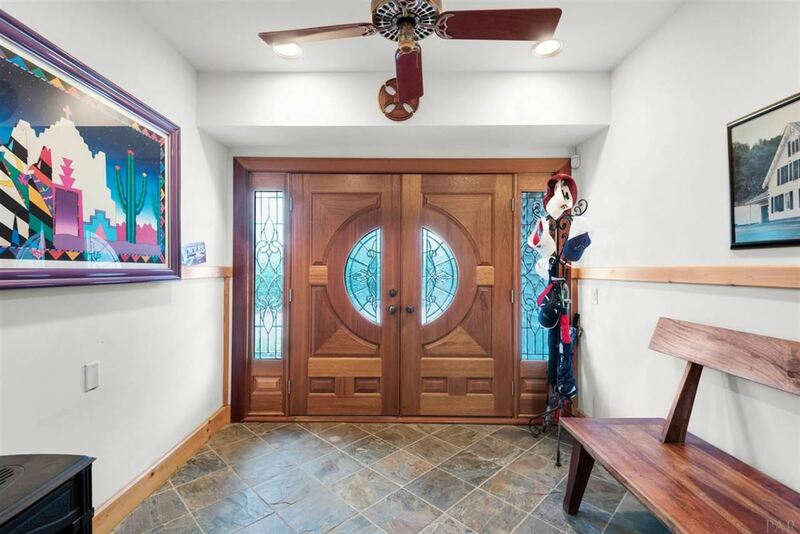 This home is zoned for all three City of Gulf Breeze schools and is located close to beaches, shopping, and Tiger Point Golf Club.